The term “missing link” was originally applied to old fossils. 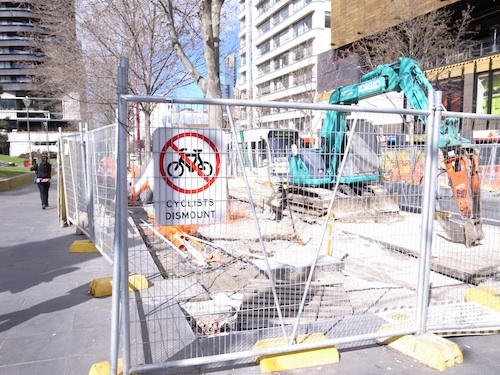 It’s fitting that it is now being used to describe Melbourne’s East West Link. This little project has been floating about since the 1950s, but in it’s current form it can be traced back to a suggestion from Premier Jeff “the quiff” Kennett in 1999. It’s been looked into since, but has always been a political impossibility, and a waste of money… until now. The planets are aligning and Dr Napthine and Tony Abbott can see the project’s “electoral” potential. As long as it’s sold in the right way to the right voters. These voters live in Melbourne’s East, in some of the most marginal electorates in the country. They’re been tempted with a big carrot – a faster run down the Eastern Freeway in the morning rush. We’re told that this run has slowed down 20kph since 2001, which is true, but only because there was a short-lived speed spike in 2001 after the opening of City Link. in Australia Victoria Melbourne Last verified 5 years ago. Melbhattan from Oslo Davis on Vimeo. in Australia Victoria Melbourne CBD  Last verified 6 years ago. in Australia Victoria Melbourne CBD  Last verified 8 years ago. in Australia Victoria Melbourne Melton  Last verified 7 years ago. 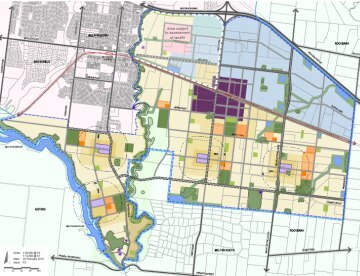 This is the last week for public submissions about the Victorian Government’s proposed changes to the Urban Growth Boundary. You can have your say to them here, before July 17th. in Australia Victoria Melbourne Last verified 10 years ago.